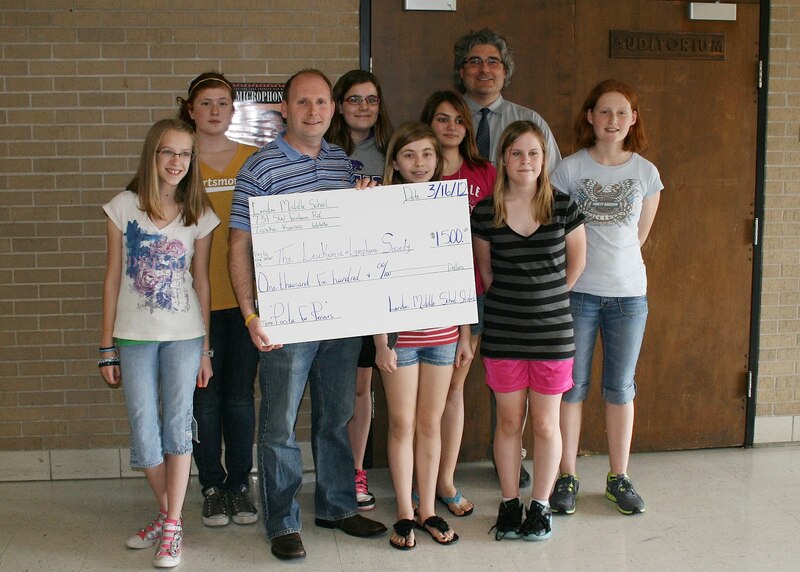 Landon Middle School students have raised $1,500 for the Leukemia and Lymphoma Society. The money was raised by a competition between advisor bases. The AB which raised the most money will be rewarded with a pasta party from Olive Garden. The check was presented during a school assembly on March 16.